Sustainable Development Goal 6 commits the world to ensuring that everyone has access to safe water by 2030, and includes targets on protecting the natural environment and reducing pollution. This World Water Day, the theme of which is ‘Nature for Water’, WorldFish and the International Water Management Institute (IWMI), key partners in the CGIAR Research Program on Fish Agri-Food Systems (FISH) , reflect on how improved dam operation and reservoir management can, in some circumstances, mitigate the often negative impacts of large dams on natural fish stocks. Exact numbers are hard to come by but, globally, inland freshwater fisheries are vital for the livelihoods of tens, if not hundreds, of millions of people. 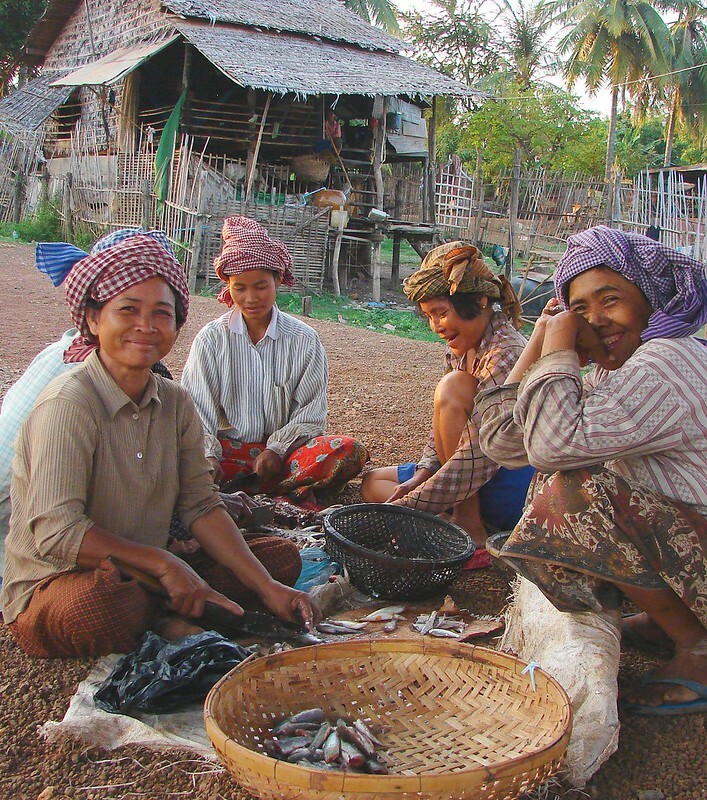 Fisheries play a crucial role in eliminating hunger, promoting health and reducing poverty. Fish are extremely nutritious and the primary source of protein and essential nutrients for many of the poorest people in the world. Fish, like humans, are dependent on water. Most freshwater fish have evolved life cycles that are adapted to natural river habitat and flow regimes. Large-scale infrastructure like dams, built to harness water resources for people can, by altering the flow regimes of rivers and blocking fish migration routes, have a significant impact on fisheries. For example, in the Mekong, where 80 percent of the native fish migrate to spawn and breed, scientific studies suggest that if all the large dams currently planned are actually built, total migratory fish biomass may decline by up to 19 percent. This will directly threaten the food security of some 2 million people. By creating reservoirs and thereby increasing the abundance of standing freshwater within landscapes, many people might anticipate that large dams would provide huge opportunities for increasing fish production. Indeed, dam proponents often promote increased fisheries as a significant secondary benefit of a large dam; one that will partly compensate for the disruption of livelihoods caused by the dam construction. The reality is that reservoir fisheries rarely live up to expectations. Typically, the lacustrine (slow-moving water) environments that develop behind a dam are less diverse and, as a result, less productive than the original river. Often, an initial boom in fish catch in newly created reservoirs—resulting from decaying vegetation providing a surplus of nutrients and because migratory fish get trapped on either side of the dam—is followed by a decline in catches over the next few years. Fish diversity often decreases and there is a tendency for replacement of large, valuable top predators by smaller, less valuable fish. Fishing effort has to increase and returns often reduce. Stocking of reservoirs, often by introducing non-native fish species that are more suited to the reservoir habitat, either as a one-off or each year, is an option practiced in many places. For example, to maximize the use of the deep-water habitat created behind the Kariba Dam on the Zambezi River between Zambia and Zimbabwe, kapenta were introduced into the reservoir in 1968/69. Within five years, the species had completely colonized the lake and today, the total kapenta catch from the reservoir is about 20,000 metric tons per year. While this approach can create local fisheries benefits, the overall cost-effectiveness, and hence sustainability, is often uncertain. Despite regular stocking, some complete failures have occurred . Because they are more likely to be sustainable, today experts generally recommend enhancement of native fish species rather than stocking with non-native species. Various management interventions can improve reservoir fisheries. For example, mimicking the natural flood regime within the reservoir, creating habitat for breeding along the reservoir littoral zone (the region of the shore that floods) and maintaining islands and vegetation within the reservoir, are all biophysical interventions that tend to enhance reservoir fish yields. Governance interventions can also help. Regulating reservoir fishing activities immediately after the impoundment to avoid overexploitation, establishing fish conservation zones in the reservoir and protecting existing habitat (in particular spawning habitat) on inflowing tributaries through the creation of fish sanctuaries or through closed fishing seasons, will often lead to more sustainable reservoir fisheries in the long term. The Nam Ngum 1 hydropower reservoir in Lao PDR, completed in 1971, was an example of sustained, healthy, self-recruiting stocks of native fish, several decades after the reservoir was created. With yields of 133 kilograms per hectare per year, in the early 2000s, the sustained productivity was attributed largely to the presence of spawning areas in a river upstream of the reservoir, and designation of these areas as a fish sanctuary. 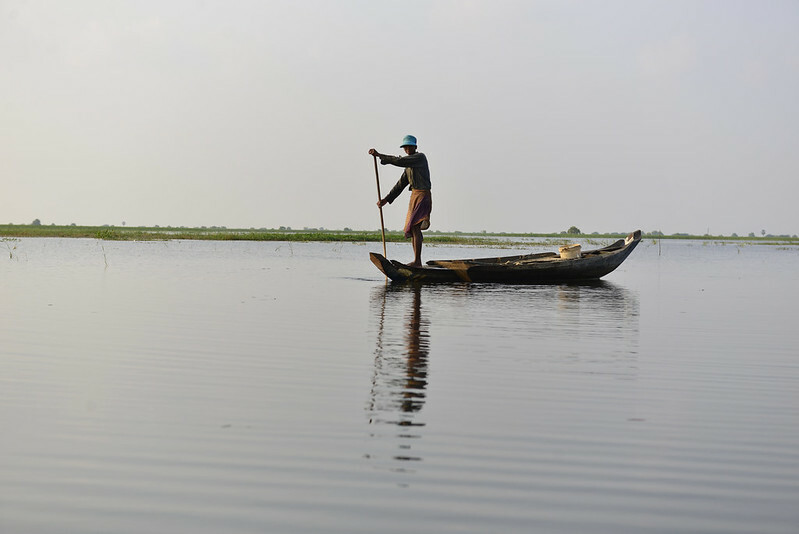 More recently, the construction of another dam upstream from Nam Ngum 1 has cut the connectivity between the reservoir and fish spawning area, and it is anticipated that fish yields will now decline. Conversely, at Ubolratana reservoir in Thailand, a substantial increase in fish production was recorded after inflowing streams came under management protection during the spawning season. Whatever the primary purpose of a large dam, there is often significant potential for managing the reservoirs they create to increase reservoir fisheries. Dam operators and reservoir managers should no longer treat reservoirs as isolated inert bodies of water—simply a resource to be utilized to maximize hydropower production or water supply—but should recognize them for what they are: complex dynamic ecosystems. Introducing ways to increase fish production will often enhance the benefits to those communities living near the reservoir, frequently the same people displaced by its creation, thereby providing an opportunity to increase food security and reduce poverty.